The tragedy of the commons? 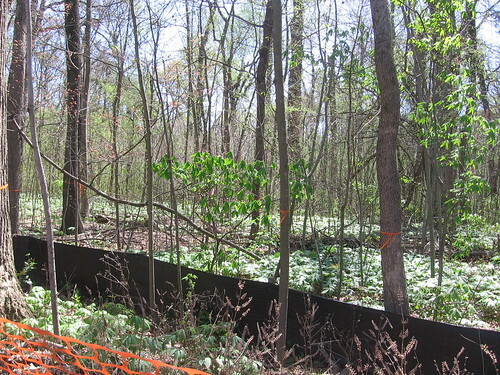 As we reported last week, the Zoo has cleared and grubbed the understory just south of the Northwest Passage exhibit. This was an industrial clearing. The remains sticking out of the mud. 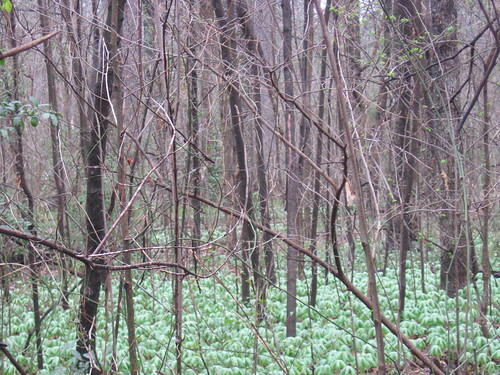 As comparison, below is the sister forest in the 17 acres, just a few feet across the tramway from the understory massacre. 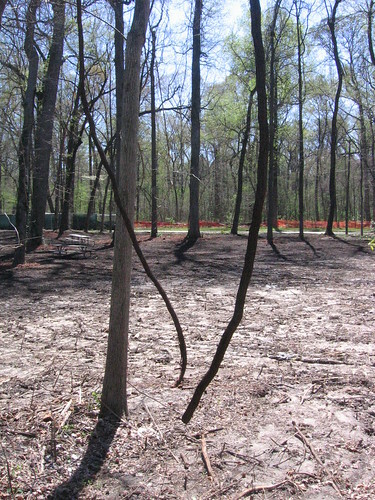 Fenced and endangered by confirmed forest maulers, these 17 acres will meet the same fate if the Zoo keeps it fenced. The Memphis Zoo will destroy it. 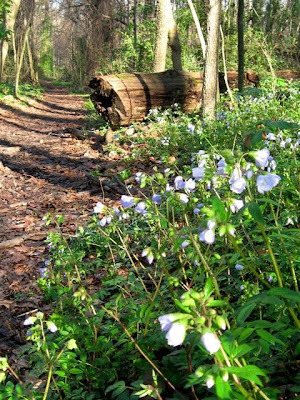 Join us tomorrow morning -- 10:00am, Sunday, March 29 -- for a wildflower hike in the beautiful Old Forest of Overton Park. We meet at the Lick Creek bridge at the east end of Old Forest Lane, next to the Rainbow Lake parking area. We cover a leisurely 1.5 miles on dirt trails. Kids are always welcome! Coincidentally, we recently left a phone message for the Zoo CEO Chuck Brady asking when we could meet to discuss his future development plans. We hadn't heard back, so we called again today and got his secretary. She said he's out of town for the next week. Yesterday my husband and daughter headed over to the Memphis Zoo to enjoy the nice weather. They were climbing the amphitheater ramp at the Northwest Passage exhibit when they looked to the west and saw a big muddy mess. 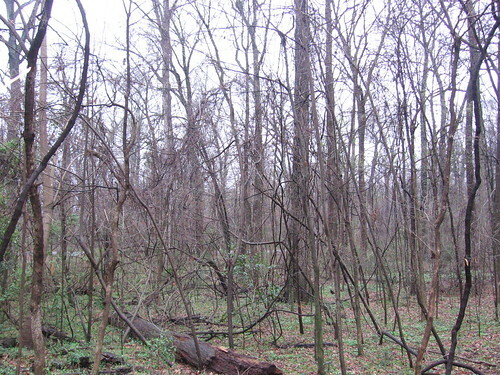 The Zoo had just finished clearing and grubbing an acre of forest understory. 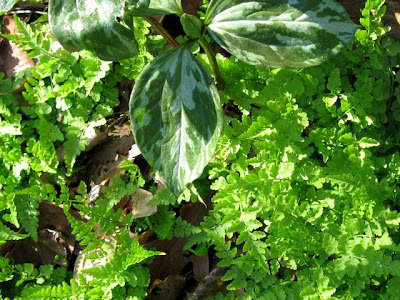 If you're not familiar with the term "clearing and grubbing," it means you demolish the shrubs and small trees that make up the understory of a forest, scrape everything down to bare dirt, then cart away all the tree stumps and other organic matter. 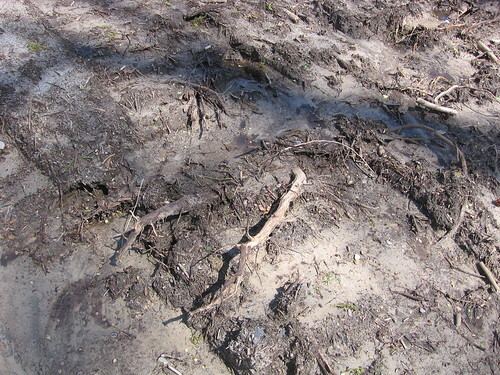 The biggest trees are left in place; most will have damaged root systems as a result of the scraping and compaction of soil that was previously well-aerated loam. 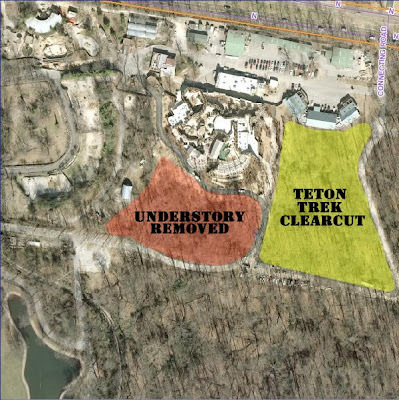 Do you remember last summer when the Zoo was "just cleanin' things up" along the perimeter of their 17-acre Green Zone? 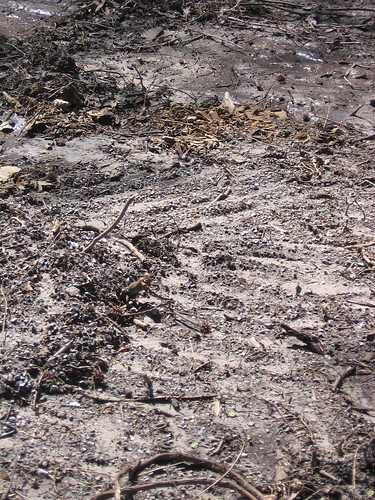 In zoological terms, this level of clearing and grubbing equates to the near-total destruction of wildlife habitat within the impacted area. Whoopee! Yay for the Memphis Zoo! All flora and fauna have value! Any harm to functional ecosystems is unacceptable! But actions speak louder than words, don't they, Memphis Zoo? You obviously felt no responsibility to support the preservation of the hundreds of defenseless plant and animal species that you secretly bulldozed last week. 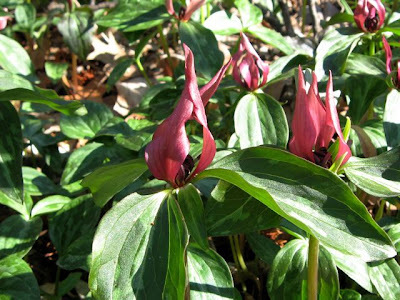 Is it possible that your noble philosophy and idealistic values don't apply to any of the flora and fauna that depend on the functional ecosystem in your own backyard? Is it possible that you feel no accountability to the citizens who own the parkland you are privileged to occupy? My husband took our daughter to the Memphis Zoo yesterday. 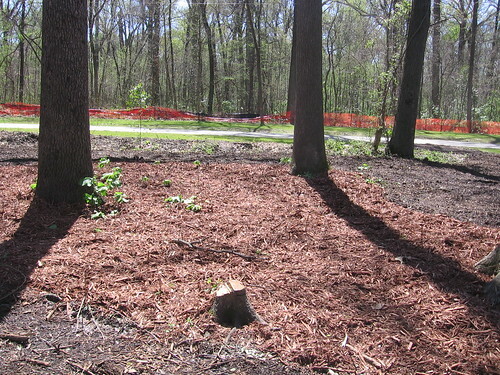 He noticed that the Zoo has recently cleared and grubbed the understory of approximately one acre of old growth forest located west of the Northwest Passage exhibit and north of the bus lane. 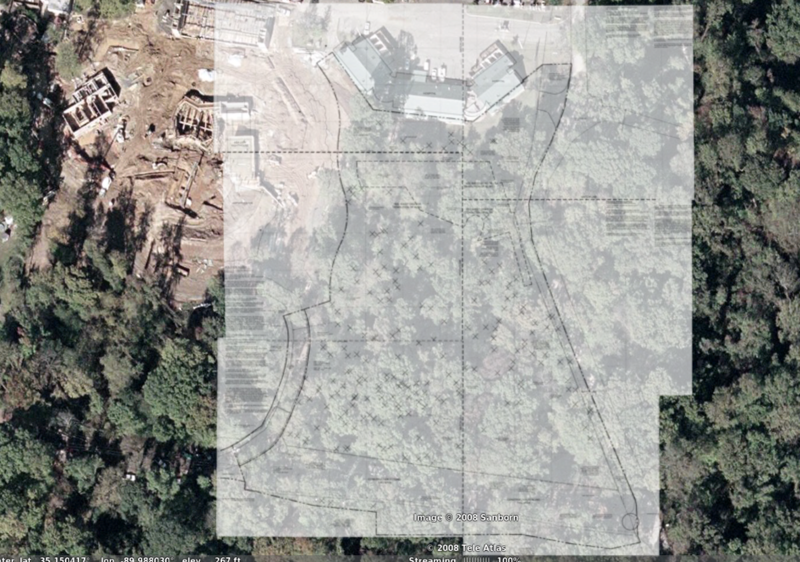 As you may recall, last summer the Zoo cleared and grubbed a 30-foot-wide swath along the perimeter of the 17-acre section of fenced old growth forest south of the bus lane. 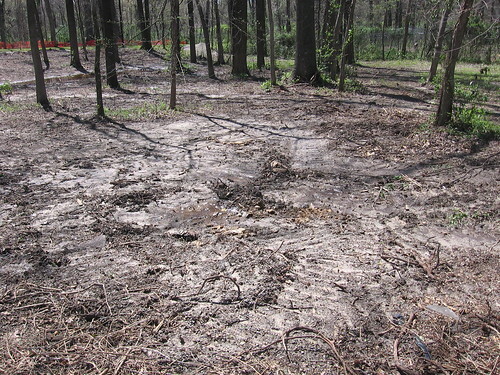 This work removed thousands of plants and tree seedlings, degraded the integrity of the forest, and served no apparent purpose. 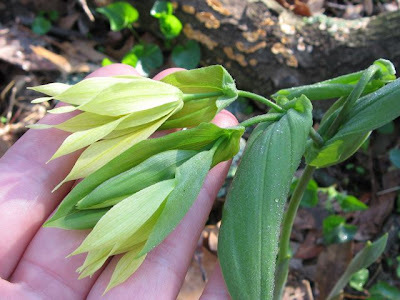 Understory species make up the vast majority of all plant species that live in the old growth forest of Overton Park. 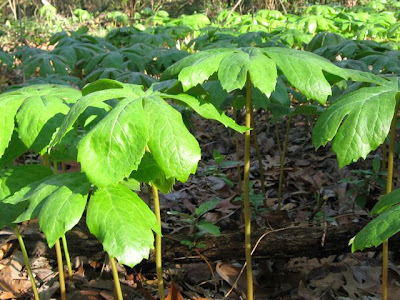 One acre of forest understory holds hundreds of species and thousands of individual plants, including the canopy tree seedlings that are vital for natural forest reproduction. 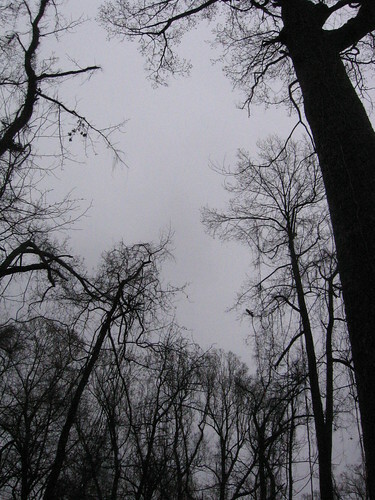 A forest with no understory is no longer a "forest" in any real sense of the word—it is merely a collection of trees. Memphis Zoo researchers made the news this year for their ongoing studies of the copperhead snakes and rare purse-web spiders that live in the Old Forest understory. But meanwhile, Zoo management is rapidly destroying the habitat that sustains these creatures and hundreds of other animal species. 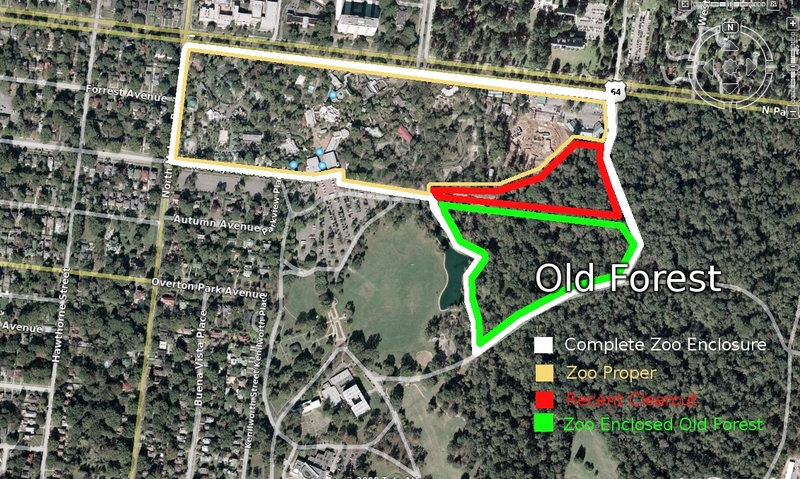 If the leaders of the Memphis Zoo continue clearing and grubbing the understory of our unique and irreplaceable Old Forest, they will effectively kill the 17 acres of publicly owned forest that remains inside their fence. We feel that the Zoo is demonstrating a callous disregard for the immense ecological and historical value this forest has to our community. If this clearing and grubbing is being done with the permission of Park Services, we ask that you stop allowing such destructive activities. If you were not aware of this clearing and grubbing, we ask that you take immediate steps to protect the remaining understory of the Old Forest. Thank you for your time and attention to this matter. We look forward to your response. 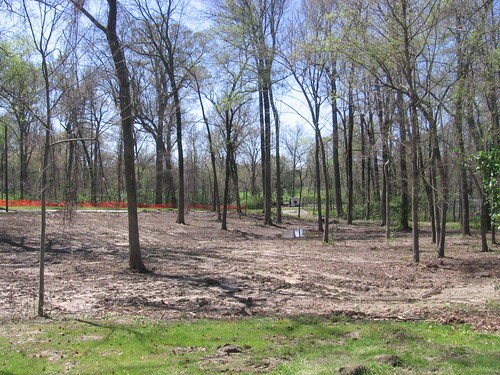 All y'all CPOP supporters know that our group's primary focus is to promote and protect the 150-acre Old Forest of Overton Park -- which, by the way, is looking AMAZING right now! 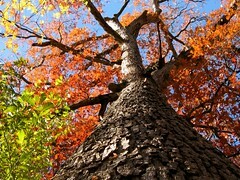 But we believe that the entire park is a priceless resource for our community. 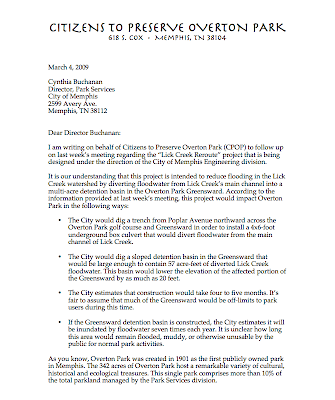 That's why our board decided to publicly oppose the City's plan to dig an 18-foot-deep floodwater detention basin in the Overton Park Greensward. It doesn't look like anyone else is happy about this idea, either. 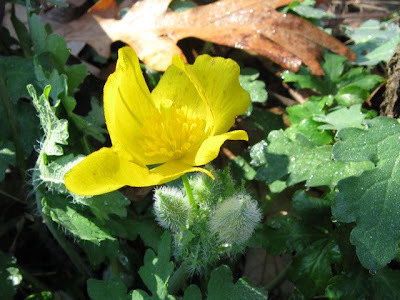 If you want to help defend the Greensward, please check out our new coalition website -- savethegreensward.org -- and spread the word to your friends and neighbors. Get those letters in the mail! 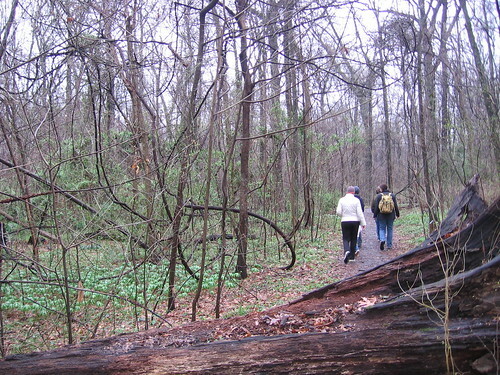 A cold, wet March Saturday couldn't keep 5 hikers from our hike this past weekend. CPOP board member Amy led a natural remedies hike, pointing out the healing power of the plants that grow wild and naturally in the Forest. Even before we crossed the Lick Creek bridge, she demonstrated how you can use the non-native plantain that grows in sidewalk cracks for bee stings. is finally overpowering the dull evergreen of invasives. 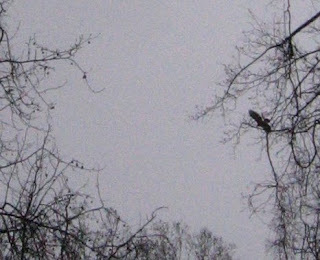 Up above, where it's still gray and still beautiful, we saw a hawk floating between giants. I love the grapevines dangling from the tops of those trees. Here's one beginning, where the vine comes out the earth and starts figuring out a way to make it to the top. Spring came to Memphis last weekend. A week earlier, we were "buried" in eight inches of snow — a freakish occurence in this old Southern town. But last Saturday, we got back on course with a sunny, warm day designed by spring's PR department. In Overton Park, the denizens of Memphis gathered to celebrate. Well, they didn't actually "gather," rather they filled the place up. The Zoo parking lot was packed. The walking trails were full of joggers, strollers, dog-walkers, and cyclists. The funky little golf course was doing box-office business. The swingsets and slides had lots of little customers. 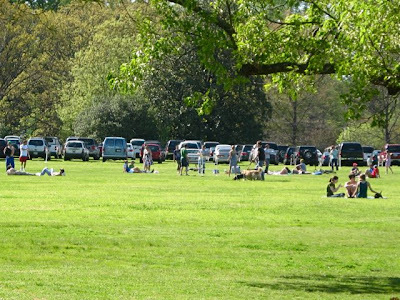 And in the center of it all — the massive greensward — it seemed half of the city was out enjoying the sun. Kites were flying. Dogs were running in circles, chasing balls, sticks, and each other. 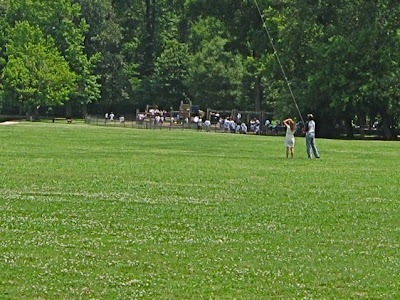 An ultimate Frisbee game occupied part of the field; soccer players kicked around a ball in another section; a father and son played catch. The motley collection of drummers that assembles on nice days provided a soundtrack for it all. If there's a more important — and more used — recreational space for Midtown than the greensward, I have yet to see it. So when I read the news that city engineers were proposing to turn a football-field-sized patch of the greensward into a "detention basin" to catch the occasional overflow from Lick Creek, I was surprised, to say the least. 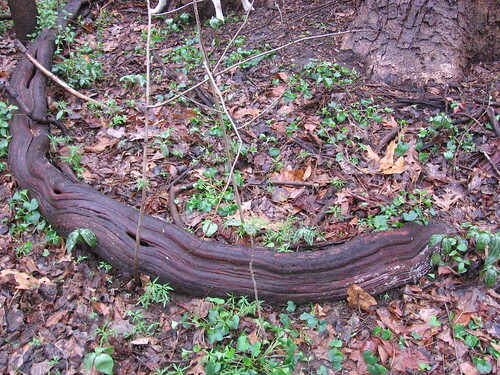 I've walked Lick Creek with my children on many occasions. It's less a creek than a concrete culvert, but 10-year-olds think it's great fun to explore and delight in collecting salamanders and the occasional golf ball. The problem is, after heavy rains, Lick Creek overflows and floods a nice neighborhood — Bellair — just south of the park. The detention basin, say city engineers, would fix that problem. They cite similar basins on the Audubon Park golf course and allege that we would hardly know it's there. 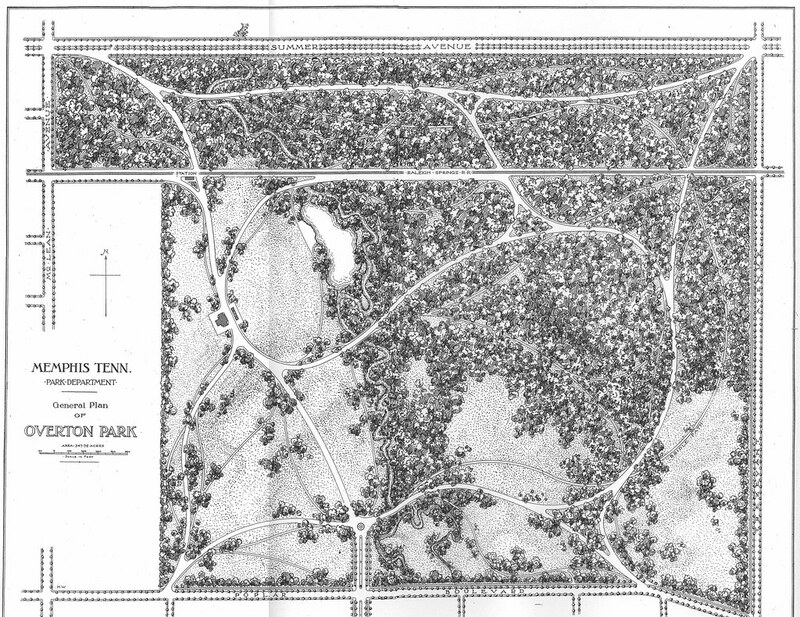 Except when it rains hard, of course, at which time users of Overton Park would probably notice a large, 18-foot-deep lake in the greensward. Or afterward, a large muddy, trash-filled depression. C'mon, folks. This is Memphis' Central Park. There's got to be another solution. And if I know Midtown and its neighborhood groups, I suspect a great deal of pressure will be put upon city engineers to find one. Here's hoping they succeed. 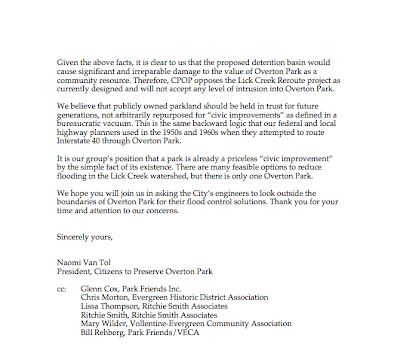 NEWS: Park Friends Inc. spoke frankly to the Memphis Flyer about the proposed Greensward detention basin. REMINDER: The Vollentine-Evergreen Community Association will host a public meeting TONIGHT at 6:30pm at their headquarters, 1680 Jackson Avenue, to discuss the issue of Lick Creek flood control. Representatives from the City of Memphis will be on hand to answer questions. "Keep Overton Park for people"
Flood control retention basins have proven to be an effective flood control option. 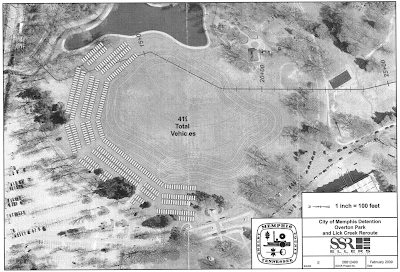 But plans to put a water retention basin in the city's premier inner-city park have legitimately raised eyebrows. Officials want to construct an underground culvert and a retention basin in Overton Park to divert and store high flows along Lick Creek. The stream occasionally floods the Belleair area just south of the park. The $4 million-plus project is part of a long-range, $140 million game plan for drainage improvements planned across the city. 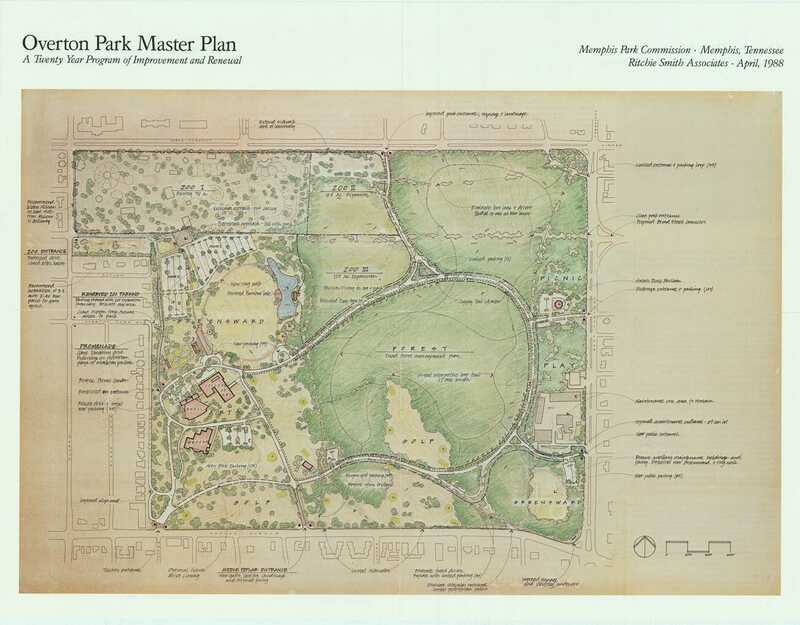 City officials promise the project will be non-intrusive and will blend in with the surroundings, citing similar basins constructed on the Audubon Park golf course. 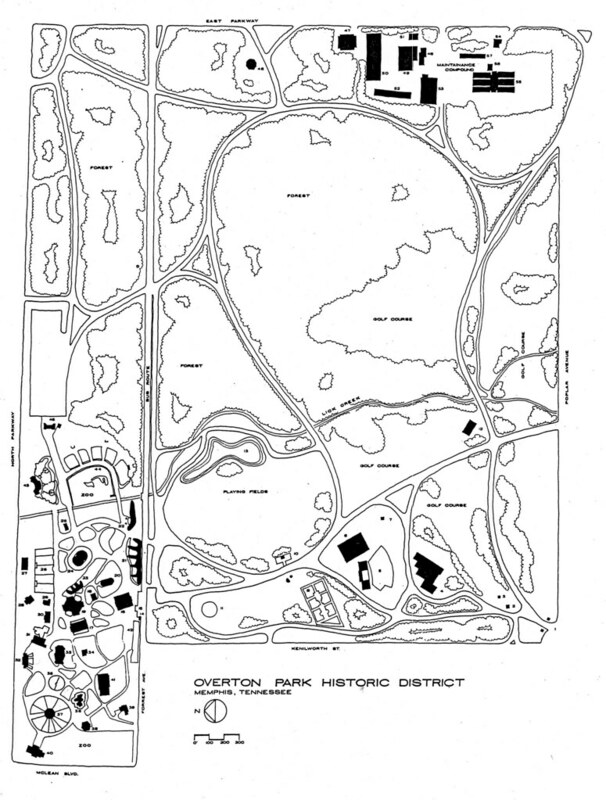 Representatives of Citizens to Preserve Overton Park want the city to look at other flood-control alternatives, saying the project would damage the park. We're not engineers, but we do know retention basins can be a problem, even the ones in Audubon. They don't always drain properly and they can draw pollutants that you don't want adults and children playing on. 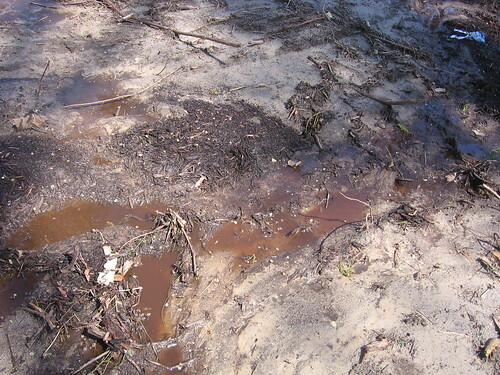 They attract trash and sediment, and need constant maintenance to keep the area looking nice. And they can be mosquito breeding grounds during warm weather. Putting such a project in a park that draws so many adults, children and pets just generates bad vibes. Overton Park may get major alteration to control flooding from today's Commercial Appeal. Overton Park Pond? from Mary Cashiola's blog. City Engineering Consistent, If Nothing Else from the Smart City Memphis blog. UPDATE: Several people have emailed to ask if this post is an early April Fool's joke. I'm sorry to say that it's no joke. City Engineering told us this is necessary to reduce flooding in the Lick Creek watershed. We have asked City Engineering to quantify the problem and share the details of their rejected alternatives with the public, so hopefully they will do that. You know that big green field at Overton Park where y'all like to go play frisbee and soccer and ride bikes and picnic and make music and take photos and walk your dogs and fly kites? Even when the Zoo is using half of it for overflow parking? 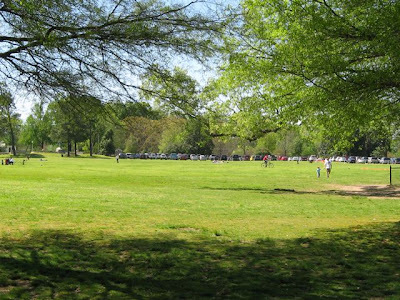 This big field is called "the Greensward" and it has existed since Overton Park was created in 1901. Did you know that the City of Memphis Engineering division is planning to build a giant stormwater detention basin in the Greensward? They say it's been in the works since 2006. We found out about it last week. The following letter describes the "Lick Creek Reroute," as it was explained to us, and states our group's opinion about this proposal. Click each page to biggify. 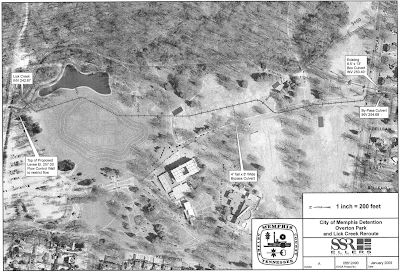 The second map shows a closeup of the Greensward detention basin. The contour lines are 1-foot intervals, which means that the bottom of this proposed pit is about 17 or 18 feet below the current elevation of the Greensward along the top edge. To help you visualize this, consider that the current elevation drop across the east-west axis of the Greensward (from Rainbow Lake to the Doughboy Memorial) is about 20 feet of gently sloping ground. If this basin were built, a person going east across the Greensward from the base of the Doughboy hill would need to descend another 18 feet to the bottom of the basin, cross the flat bottom of the basin, then ascend 18 feet to the edge of Rainbow Lake. Eighteen feet is almost as high as a two-story building. 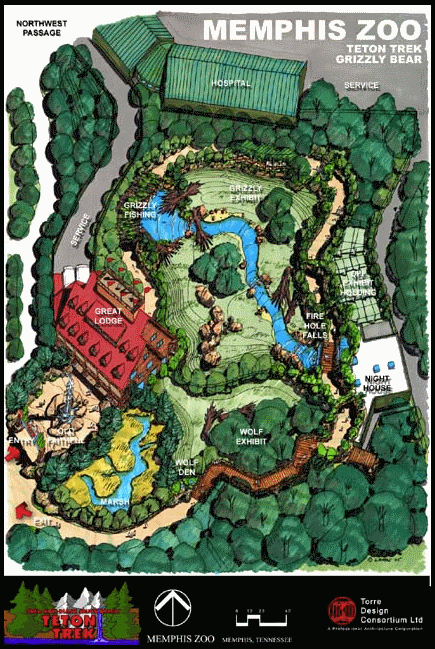 It's clear from this map that the Memphis Zoo will have plenty of flat space for their seasonal used-car lot. But what about the rest of us? Is there enough room in the bottom of that pit for more than one soccer game? Should the heart of our oldest City park be converted into a flood storage basin? If you want to learn more, the Vollentine-Evergreen Community Association will host a public meeting at their headquarters, 1680 Jackson Avenue, at 6:30pm next Wednesday, March 11, to discuss the issue of Lick Creek flood control. Representatives from the City of Memphis will be on hand to answer questions. Whether you can attend the meeting or not, your written comments may be sent to Hugh Teaford at the City of Memphis Engineering division. His email is Hugh.Teaford@memphistn.gov and his address is 125 N. Main, Room 644, Memphis TN 38103. Please let your friends and neighbors know what's being planned on our behalf. Let the sun shine in! 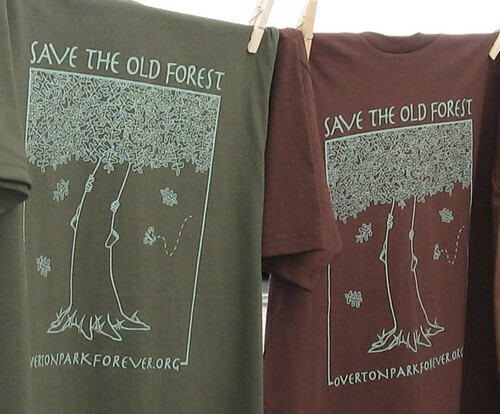 Are you dying to get one of our popular "Save the Old Forest" t-shirts? We'll mail you a shirt as a thank-you gift for your $10 donation to CPOP (plus $2 for postage). If you're in the Memphis area, you may want to save the postage by picking up your shirt -- just email us at overtonparkforever@gmail.com.